Caring for your teeth and gums becomes even more important as you get older. In fact, more than half of American adults are affected by some sort of gum disease! 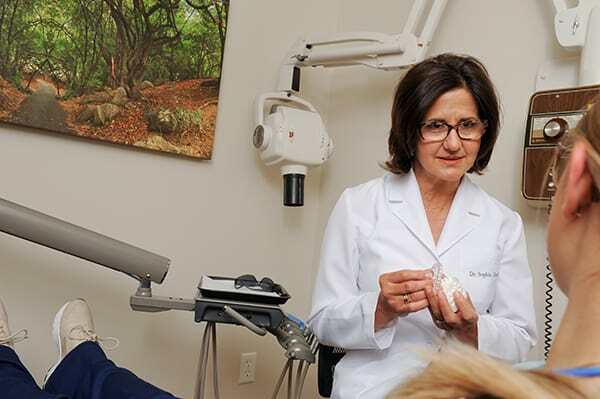 The good news is that with proper home care, cleanings and periodontal treatments, along with regular check ups, seniors are improving their oral health and, as a result, protecting their overall health as well. nked to everything from worsening diabetes, to heart attacks and strokes, difficulty with joint replacement therapy, and even to certain cancers. Clearly, if you want to stay healthy long into old age, it is important to keep your gums healthy too! If arthritis makes brushing and flossing difficult, our Clinton Township dental office can recommend a good electric or ultrasonic toothbrush and oral irrigator to make home care easier. Ask us about dry mouth or Xerostomia at the very first symptoms. Live a healthy lifestyle with a healthy diet. Most importantly, remember to see Masters Family Dentistry at our Clinton Township dental office for a cleaning and checkup every 6 months.